pas de trois – MostlyAboutBeer……..
A “pas de trois” is a dance undertaken by three people simultaneously. In the beginning, there was the public house. Over generations of mutation, it evolved into a local place to drink where you didn’t have to be a member, subscribe to any political party or be from any particular background. Then came the supermarket and off-licence which probably had some impact on the pub-goers’ numbers, but also – maybe not much (many public houses used to have jug bars for takeaway too). More recently, a new arrival: the beer shop – a kind of boutique in the stamp of a delicatessen. 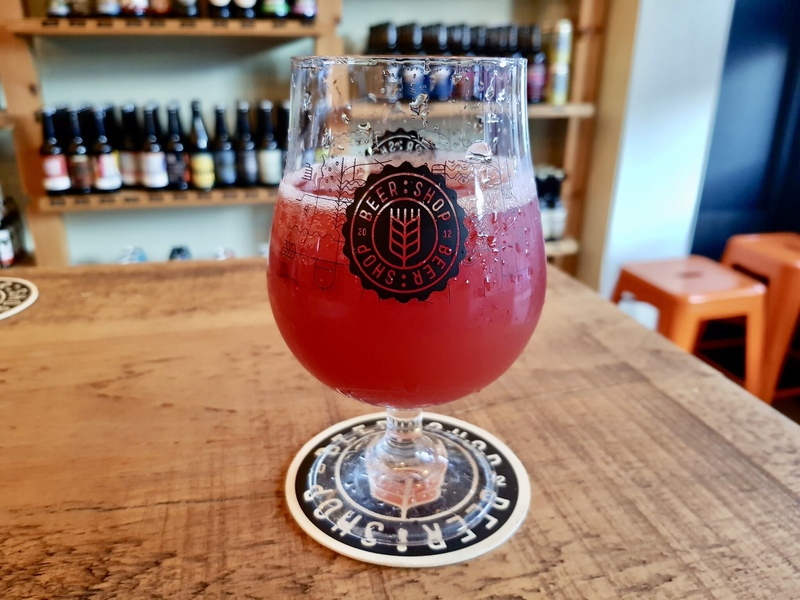 It stocks a wider range of beers than the pub, off-licence or supermarket and pans away from the established big brands to zoom in on smaller independant breweries. The public house, the supermarket and the beer shop are like orbiting planets exerting an influence on eachother. But though each displaces, their gravitational pulls aren’t equal. I was put in mind of this over the weekend when I went to visit a new bottle and tap room in Harpenden opened by Mad Squirrel Brewery (Hemel Hempsted). 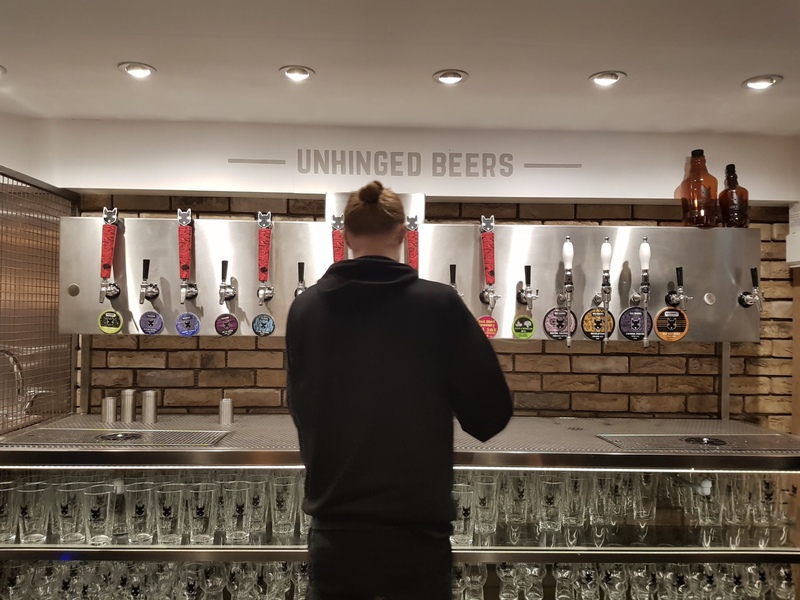 I was impressed at the space – this new venue had taken on what was once a regular-sized pub and I caught up with one of the team that runs the Mad Squirrel franchise. I noticed how many chillers there were on the shop floor and enquired whether the cans and bottles could be consumed on site – a daft question – of course they could. But then he also mentioned something I’d noted myself subconsciously, but without joining up all the dots: takeaway sales of cans from beer shop shelves are reaping diminishing returns, whereas sales of cans from the fridges to be cracked open in the shop are increasing. My own drinking habits over the past year have changed to accommodate this notion of going “out” to have a can “in”. Sitting on a perch in a beer shop with an exotic can decanted into a glass is a bit like poring over a book and reading the blurb on the cover. Pushing that analogy further, perusing the myriad beers on offer is akin to browsing in a library too. In order to be more fascinating and draw attention to itself, the can has started to go all out on presentation. Not only is the artwork ever more beguiling, new tricks are being applied – these are the pop-up pages, coloured plates and magic eye illusions. There are labels that can be peeled away to reveal text and artwork on the underside. There are cans that bear a fraction of a larger image only viewable as whole when the cans are arranged together a certain way. Increasingly, the names of beers become ever more obscure turning the title itself into a story. In this regard, beer shops are a different experience to the soulful sessioning spells of the pub. 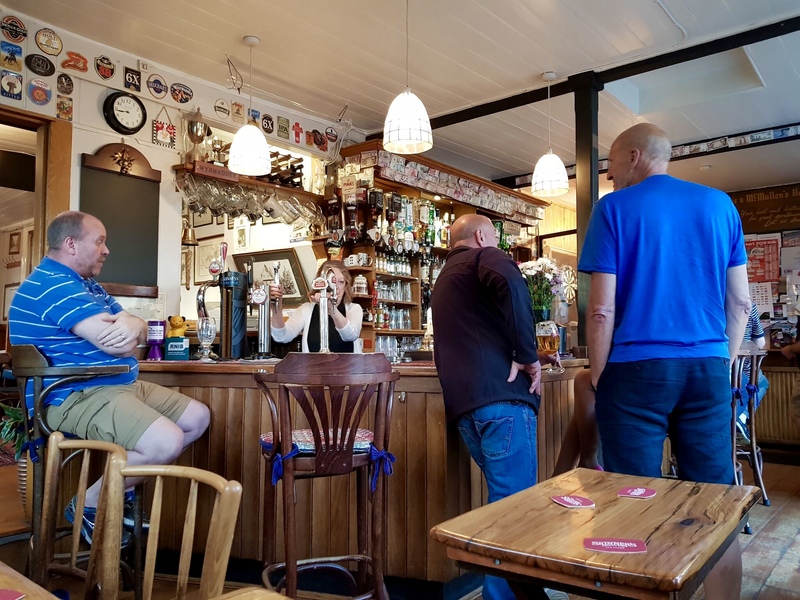 But as beer shops open later into the evening and go from “tasting rooms” to “swallowing rooms”, they have become pubs from an alternative dimension – something not lost on local publicans. Many pubs have started stocking a wider range of beers in their fridges – a low risk move considering the long shelf-life compared to the beers from the tap. Wetherspoons aside, I don’t see the cans being taken up by customers much. They – like me – will drink from the taps in a pub with a particular bias in favour of cask ale. Cans and bottles are an income stream pubs can’t easily exploit. We find the humble pub getting humbler by the day as beer is served in ever more settings. Its USP as a place to drink quality has been (to use a horrendous modern term) ‘appropriated’, and the venues keep proliferating to include bakeries, museums and cheese shops – to name just a few in St Albans. 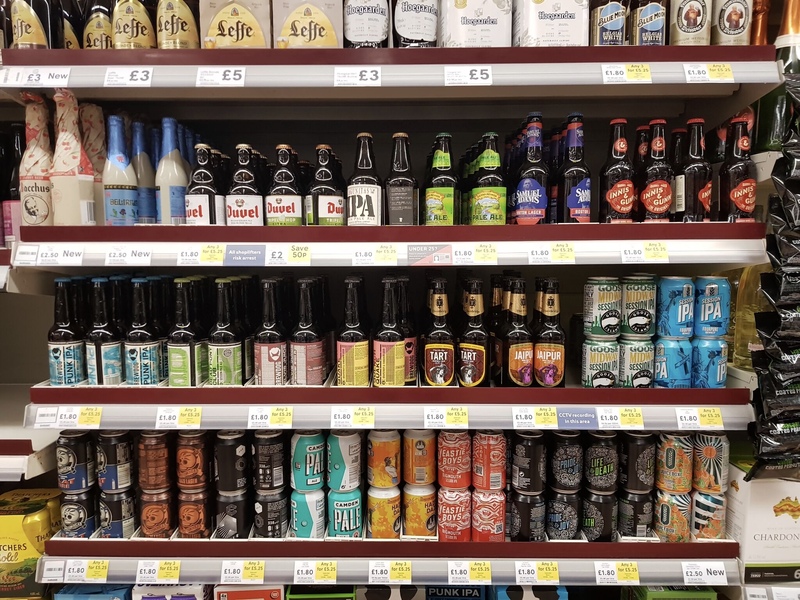 Customers are using beer shops less as a place to buy beer and more as a venue to drink it, so the chillers for on-licence trade are multiplying on their floors. This is a necessity – to mitigate the decline in off-licence trade. One contributing factor to this dowturn is the fact that now the supermarkets have become beer shops too and have poached many of the previously exclusive suppliers. The future is simply the present, but more so. The next episode in this chain reaction has already been piloted on a small scale nationally. It’s the one where the supermarkets follow the rapid ascent of the beer shops to turn into on-licence craft beer bars themselves. Both Morrison’s and Waitrose have actually trialled bars under their roof. If I was a gambling man, I’d say that Waitrose will deliver the next haymaker because the store has already stuffed its upmarket finger into another pie; currently, they are blurring the line between supermarket and coffee shop by offering their customers free coffee. This isn’t just in their large outlets, but in their urban Waitrose “Minis” that are cropping up all over London – the size equivalents to the Tesco Metros and Sainsbury’s Locals. Not only that, but the coffee comes with a bar and seating area. I envisage a row of chillers with plastic glasses stacked in a tube right by the cutlery shelves for the packet salads. Each drink would carry the tag of its on-licence price. A sign on the fridges would direct shoppers to take their chosen can to the till so legal drinking age can be confirmed as per usual. As they’re tins, no bar staff are necessary – just the CCTV. Customers drinking Magic Rock, Wild Beer Co and Mikkeller sit shoulder to shoulder with those sipping lattes watching the world go by through the polished glass frontage. Over the road, they can just about make out the landlord of the pub opposite waving sullenly from his little window. Whey-faced, he tries to work out whether he should get a licence to sell groceries. Wow, Duvel Tripel Hop at £2 a bottle – get in! Spar is doing this in London with their “Eat 17” concept, the fourth one of which just opened in Hammersmith. Spar market, take away lunches, a few “food-truck-ish” dining options, wine bar and craft beer for either eat in or take away. Thanks Greg I didn’t know about that. I’ll have a look into it.